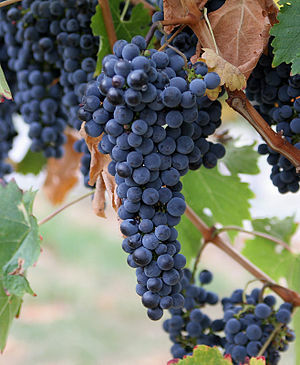 There are, no doubt, many nutrients that benefit the heart and cardiovascular system, the EPA component of omega 3 fatty acids and the grape seed extract of red wine to name a couple. But two crucial nutrients are especially worthy of attention, if not for the multi faceted support they actually provide, then to dispel the claims of what they’ve been rumored to do. Our cardiovascular system is comprised of the heart, blood vessels and blood that carry nutrients through our bodies. A healthily functioning system relies upon many biological conditions and processes to properly perform its duties, including effective nutrient metabolism, sufficient energy production, and efficient circulation. And these are all aided by various enzymes of which Coenzyme Q 10 and Coenzyme A are the king and queen. Interestingly enough, the existence of Coenzyme Q10 was first reported in 1957, simultaneously, by two different scientists. One Dr. Frederick Crane of Wisconsin isolated it from the heart of a cow and another Professor Morton of England extracted it from the liver of a rat. It is from this widespread presence that CoQ10 gets part of its scientific name, ubiquinone. Partially from the word ubiquitous, meaning that it exists everywhere. Ubiquinone, aka CoQ10, is made by the body and present in every nook and cranny. But, the majority of this nutrient’s reserves are found in the heart. CoQ10 is critically involved in the production of the primary cellular fuel adenosine triphosphate, or ATP for short. All cells depend on ATP to perform their duties; but the body only stores small amounts of ATP at any given time and thus has to constantly produce the substance. CoQ10 actually carries the necessary protons and electrons into the energy producing portion of the cells for ATP synthesis. There, CoQ10 is stored and used by that cell to perform its specific actions or functions. Inside the heart, this function is to circulate blood. So, without CoQ10 the heart could not perform because it would not have the energy to do so. Additionally, CoQ10 helps the cells break down and utilize fats and cholesterol, aids circulation and thus the flow of oxygen to the heart, helps lower blood pressure and provides a potent anti-oxidant. The body converts CoQ10/ubiquinone to the active antioxidant compound ubiquinol. Ubiquinol is thought to be more adept than Vitamin E at protecting our hearts from oxidative damage. Because the body’s ability to convert CoQ10 to ubiquinol declines with age, it is thought that supplementation of the ubiquinol form should begin in the 40’s and should definitely be included in the treatment program of those with histories of cardiovascular disease or heart attack. Most CoQ10 supplements are in the ubiquinone form and suitable for preventive purposes. The richest natural sources are oily fish like mackerel, salmon and sardines; but good amounts are also found in organ meats, peanuts, whole grains and spinach. Many mental and physical performance enhancers now include CoQ10 because of its role in ATP production, but you shouldn’t expect to “feel” the power of ubiquinone as it doesn’t energize in the way that caffeine or sugar does. In fact, unless you are managing a cardiovascular or circulatory ailment you may not feel the work performed by this nutrient at all. The measure of its effectiveness may instead lie in what you won’t feel-unprotected and vulnerable to cardiovascular disease. CoA is essential to our body’s processing and utilization of carbohydrates and fats. It helps the cells generate energy from glucose, and it carries fatty acids from the cell’s cytoplasm (the jelly like cellular filling) to the mitochondria (the cell’s energy production center). In this way, CoA actually starts the process of fatty acid metabolism and initiates the cell’s energy/ATP producing cycle. Without Coenzyme A, approximately 90% of the body’s required energy would go unproduced, and consequently the processes fueled by this energy would go unfulfilled. This includes the work of the heart muscle, to which ATP greatly contributes. CoA thus becomes a cardio-protective nutrient through its role in ATP production and ATP’s role in increasing the heart muscle’s strength, density, energy and stamina. Supplemental CoQ10 is available in a range of doses and can be taken in the powdered, liquid, gel, pill and even quick dissolving tab form; but the liquid and gel forms are thought to be best. Ubiquinone is better absorbed when taken with fatty foods, and the ubiquinol form is the most absorbable, consequently requiring much lighter dosages and smaller amounts. 30-50 mg/day of CoQ10 is appropriate for young healthy individuals, 50-200 mg is beneficial for heavy exercisers and middle-aged persons, and those with cardiovascular risks such as high blood pressure or high cholesterol may be prescribed doses as high as 400 mg/day. In most cases, CoQ10 can be taken along side cholesterol lowering statin medications without interference and can therefore help counteract the ubiquinone deficiency often caused by this class of drugs. Be selective when purchasing CoQ10 supplements; the purer the better and the color is a good gauge of this. The nutrient is naturally a bright yellow/orange color and virtually tasteless. Store the supplement in a dark cool place for safe keeping. CoA is produced from Vitamin B5 (Pantothenic Acid) so sufficient levels of this nutrient must be maintained in order to insure CoA levels are adequate. A 50-100 mg/day dose should do the trick. Coincidentally, pantothenic is derived from the Greek word pantos which means “everywhere” and refers to its abundant presence in foods. Sound familiar? It even has some food sources in common with CoQ10- organ meats, whole grains, peanuts and spinach. Egg yolks, fish, chicken, cheese and dried beans are also good sources. ***For supplemental options, Coenzyme-A Technologies, Inc is a highly regarded source. Looking to be Born Again? Happy New Year folks and welcome to 2012! For me, the start of a new year is an extremely unique and powerful time because it is one of the few times that I actually embrace CHANGE. That’s right, I admit it, I don’t like the Big C. It yanks me from my illusory comfort zone and thrusts me into new frontier and that can feel a little scary and taxing. If it must come, and I keep hearing it’s what this game is all about, then I prefer it sneak in slowly and gently with some distracting fairy dust attached. But for some reason, during the New Year season I am far less resistant to the ebb and flow and am actually welcoming, optimistic and receptive to it all. A real live grown up about it! And I know I’m not alone. The heightened awareness of the times gets us cleansing, checking in on our states of health, visiting our doctors and re-evaluating our wellness plans. We are all so brave, ready to disassemble and rebuild ourselves. I love it! So, it got me to thinking. What else? What goes beyond rejuvenation? Bingo. I think I’m feelin that, especially the latter part. The notion that the human body is capable of healing itself is the cornerstone belief of wellness, and enhancing this capability, the primary agenda of its practitioner. Though we don’t have the same skills as some of our tailed, four-legged and sea dwelling friends, we humans do have some organs and parts that are capable of regeneration, namely the skin, muscles, bones, liver and adrenal glands. These organs house some of the most crucial processes within the body and impact our health and wellness in the most critical of ways. Enhancing their innate healing capacities actually gets in front of degeneration and disease and sits us firmly in the seat of prevention. And when we speak of regeneration, what we are most basically speaking of is DNA synthesis and cellular renewal. This is the source; from here a series of biological processes determines how these new cells will be used and what they will become. But complete regeneration not only refers to an organ’s form. It also refers to its function, and certain nutrients can help push the creative process along while supporting the organ’s functional development. Let’s start at the surface and work our way in. The skin we live in is the largest of the bodily organs. And as such, it has some very important jobs. It covers and protects the internal body and eliminates its toxins and wastes through sweating. Exfoliation helps to clear away the skin’s dead cells and can be done by bathing with loofahs and brushes. But deeper exfoliation that sparks skin’s renewal can be achieved by adding alpha-hydroxy acid (AHA) containing substances like milk, strawberries, pineapples and grapes to your bath. Scrubbing salts and sugars are effective as well. Too much, however, can stress the skin and break it down. Be gentle and figure out a schedule that keeps the skin fresh without over doing it. Extreme redness, slight abrasions and inflammation are sure signs you’ve gone too far. For “inside to out” skin care, eating raw fruits, nuts and vegetables increases skin’s renewal process and the naturally occurring enzymes in unprocessed foods help the body fully access nutrients and use them for skin, muscle and bone construction. Not surprisingly, glutamine is a star in our defensive line. It increases antioxidant protection and is released by the muscles into the blood stream during times of stress, injury and trauma. It prevents our muscles from wasting away. Consequently, those on bed-rest, with arthritis, managing auto-immune disorders, living with cancer and/or immune deficiency syndrome or trying to overcome sugar and alcohol cravings can benefit from supplemental glutamine in the form of L-glutamine. L-glutamine can be purchased in pill and powder forms and should be taken as instructed by the product’s label. The supplemental form should also be stored in a completely dry space as moisture will cause it to break down into, among other compounds, ammonia. Not a good thing. Some natural sources include raw spinach and parsley, cabbage and ricotta cheese. Glutamine does not stand up well to cooking. So the raw sources will always be the best. While it is certainly true that calcium, magnesium, phosphorous and Vitamin D are necessary to bone’s health and structural reinforcement, actual bone building requires more. 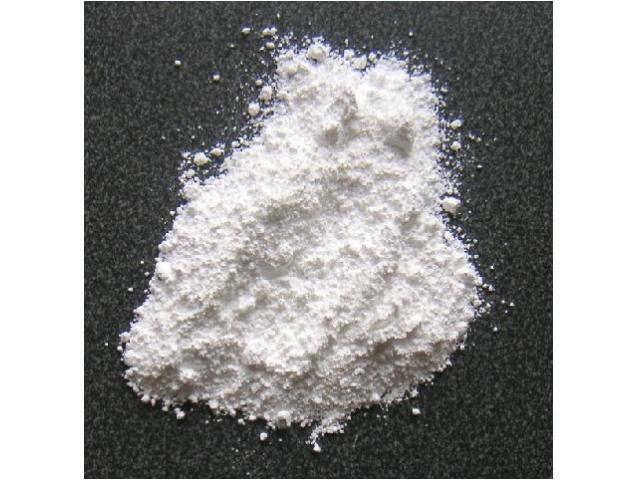 Methylsulfonyl-methane (MSM) , a natural compound of the mineral sulfur, is found in all of the body’s connective tissues and is used by the body to build cells for these tissues. Meat, milk, fresh fish, fruits and vegetables all contain MSM, but MSM is easily lost during food processing. Again, the raw approach best insures a natural supply of this nutrient. MSM along with glucosamine and chondroitin are needed by the body to develop bone. These three are also widely supplemented for joint health and come in a variety of potencies. They are available both individually and together and should be supplemented as directed by the product’s label. Copper , another mineral found in almonds, avocados, beets, broccoli and garlic, aids in bone formation; and Vitamin K , found in dark leafy greens, yogurt and egg yolks, is essential to the production of bone protein. Follow the less is more rule for both of these as deficiency of either is rare. The current RDA for copper is 1 mg and approximately 100 mcgs for Vitamin K. Neither should be over supplemented without your physician’s awareness and consent. Thank you for visiting and supporting BeWellWarrior. I’ve had an amazing time researching and writing these posts and I love reading the responses you provide. I look forward to bringing you more. So feel free to drop a line and tell me what you really want to know. Armed and Ready to BeWell in 2012! *Balch, Phyllis A. 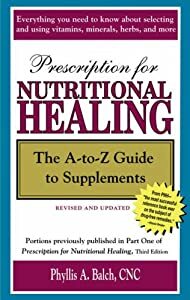 Prescription for Nutritional Healing, the A-Z Guide to Supplements. New York: Avery of Penguin Putnam Inc, 2002.